The object of this club is to develop a spirit of cooperation among all women of the community for the advancement of general civic interest and public welfare, and provide educational and cultural advantage for its members. This year we will celebrate our 127th anniversary with 100 members. We have grown beyond just a literary club. Our club today has numerous opportunities for public welfare and member enrichment covering many areas of interests. Arts Creative presents opportunities to visit art galleries and gardens, try new areas of artistic expression and do arts and crafts for area nursing homes. Arts Performing has book reviews and discussions, creative writing, readings to school children, and presents a play at a district meeting. Our International Outreach supports Heifer International and UNICEF. We will hear about river trips in Europe and study Hungarian Folk Lore with a trip to a museum. A major interest of this club is home life/social service, which presents a chance to be of service to local residents. A â€œCoats for Kids' collection is conducted each fall. Thanksgiving dinners are provided to some local families and we offer support for the Menlo Park Veterans Home and annual Food Bank drives are held. All funds raised during the year are dispersed to local scholarship, state and national charities. For the next 2 years we will be conducting special fundraisers for our NJ Federation Special State Project,â€? Gilda's Club/Wellness Community?, which supply support and information to patients and their families fighting cancer. On December 11, 1885 in response to a call for a meeting to organize a woman's literary club, these seven women, Mrs. Mathers, Mrs. Thomae, Miss Roundey, Mrs. Chandler, Miss Chandler, Mrs. Einstein and Miss Herbert met. Mrs. Mathers was elected President and Mrs. Thomae Secretary. The Woman's Literary Club of Bound Brook was selected as the club's name and it was decided the club should meet once a week. It was agreed that the object of the club be solely for literary purposes. At the close of the first year membership had increases to 20. Early in 1887 Bylaws were adopted and an annual fee of 25 cent was to be paid by each member. 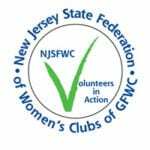 In April of 1895 the club was asked to send 2 of its members to a conference to consider the subject of the New Jersey State Federation of Womenâ€™s Clubs and to hear its President Mrs. Yardley speak about the Federation. At the club's next meeting, the membership voted to join the Federation. In the ensuing years we went on to found the Bound Brook Public Library and became involved in many community programs.